So I haven’t been cooking anything interesting except my kale skillets and sambar and humble dal-roti-sabzi. Nothing interesting or exciting enough to post here! But I have been adding things to my ever-growing Amazon wishlist. It’s what I do. Even Nigella Lawson admits it; some of her recipes are a result of what she calls her bad “Amazon habit,” trolling the site at night and clicking on one book recommendation after another. Well, I do the same, digitally thumbing-through cookbooks to see what they have to offer. These are a few I am dying to get my hands on! We all get lost down the social media rabbit hole (I know I’ve been using the term a lot, but there really is no other way to put it,) and while some of those falls leave you feeling disappointed and irritable (how did she lose all that baby weight in a month?! She gets to travel aaalll over, boohoo,) some social media black holes can actually be quite delightful. My New Roots was one such discovery. After going through Patrick J Adams’ Instagram list, I discovered My New Roots, an account he follows. I clicked, clicked, clicked again and never looked back. Sarah B is a holistic nutritionist, and what I love about her site- apart from the great recipes and beautiful photography- is how much knowledge she shares about ingredients and different kinds of foods. She goes in-depth about the benefits of buckwheat, goat’s milk, bee pollen, farro and more, without getting all textbookish. Her nutrition background + training as a vegetarian chef will make this book a great resource for plant-based eating. I first came across this book during my weekly check-in at 101 Cookbooks. I love Heidi’s approach to food, and when she recommended this book, I had to take a closer look. 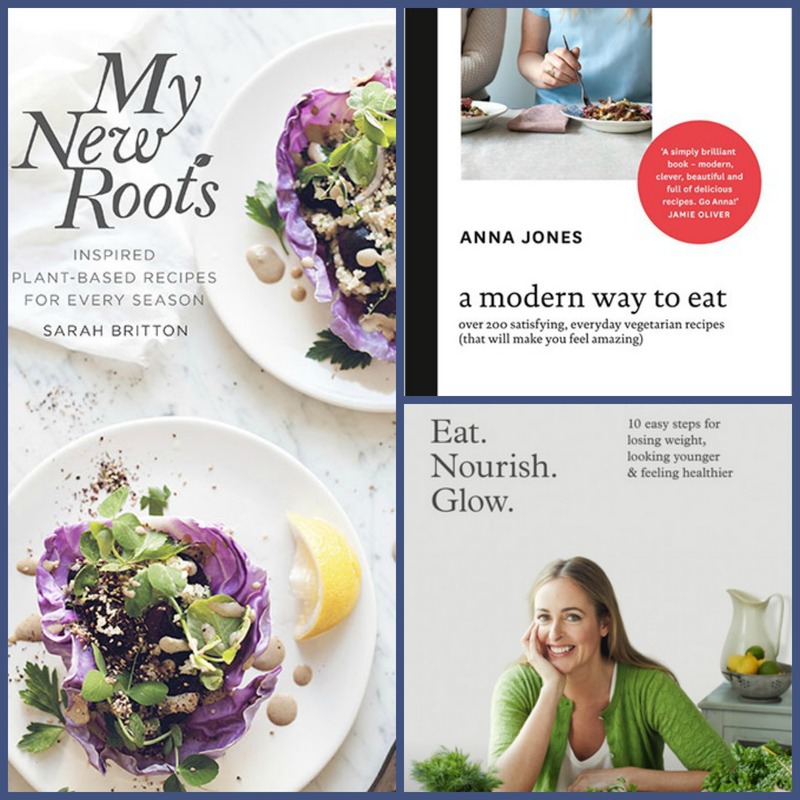 Anna Jones has worked with Jamie Oliver and follows a less is more approach, with Californian inspiration. The book is dedicated to clean, meat-free eating: something I like and something I’m trying to do more of this year. Plus, the book comes with charts on how to combine flavours, textures and techniques to create variations of the same “hero” ingredient. I think this would be a wise investment to go deeper into clean, plant-heavy eating. This one has been getting a LOT of buzz ever since the dapper Sam Smith posted his love for author Amelia Freer on his Instagram account, but I became a fan prior to the Smith-stamp. I read an article about Hemsley+Hemsley on Get The Gloss, and discovered Amelia Freer on the site. Freer champions a diet rich in whole foods, healthy fats and fresh organic produce- but the book isn’t just recipes, it’s a manifesto and guide for eating well and understanding nutrition. And as someone who wants to learn more about the nutritional value of the food I’m cooking, I’ll definitely be getting this one. Food52 is my go-to source for when I don’t know what to make. If I have an ingredient and want to do something different with it, I go to Food52 and do a quick search. If I’m looking for a way to make pasta not boring, it’s Food52 again. I love their Genius Recipes column, curated and written by Kristen Miglore. The column focuses on the best way to prepare an ingredient or dish or dishes up a new way to make an old favourite even better. From tips to creating a silky grilled cheese that won’t burn, to the science behind Nigella Lawson’s no-cook pasta sauce, the column is wonderfully written. 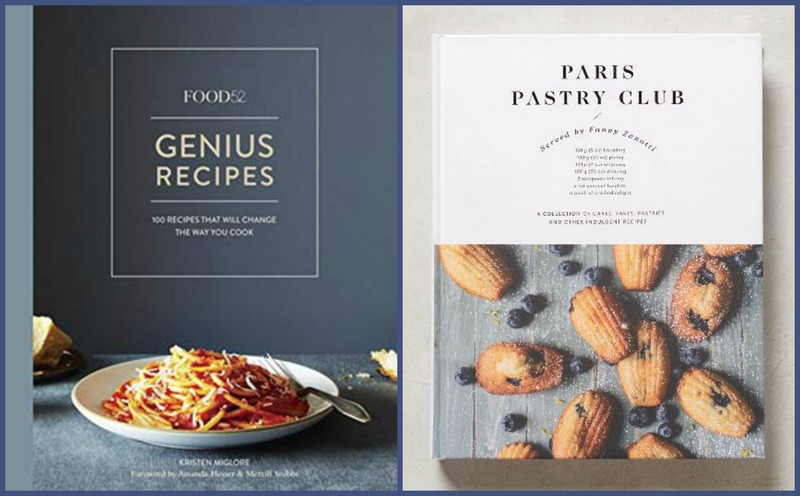 Diverse recipes to suit every palate, and techniques that will make you a better and more resourceful cook. When the column is this good, how can one not buy the book? I’m a sucker for cookbooks that are more than just cookbooks- the kind that are part-memoir with some stories thrown in. I came across the book recommendation on Amazon, and since there’s a part of me that still wants to eat cake for breakfast, I thumbed through it. Further internet scouting brought me to some of her articles. Zanotti is an accomplished pastry chef with strong French influences, and her writing style is warm and inviting. This sampling from The Guardian made me sure that I’d want to pick up this book at some point.